Although the country of Israel has been in existence for six and a half decades, only three Popes have ever visited the Holy Land. The first papal tour took place in 1964, when Pope Paul the sixth visited the Jewish State, which the Vatican did not even have diplomatic ties with at the time. However the popular Pontiff only stayed in Israel for 11 hours, coming as a mere adjunct of a trip he made to nearby Amman Jordan. It took another thirty six years before the first official papal tour occurred when Pope John Paul the second visited Israel in the year 2000. 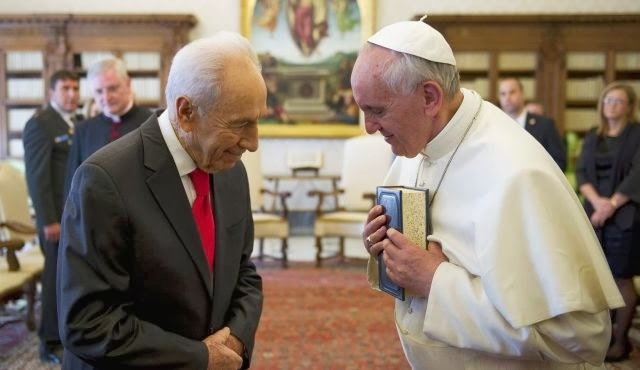 That trip was hailed a breakthrough in freshly forged diplomatic relations between the Jewish State and the Vatican, with the pontiff visiting the Holocaust museum in Jerusalem along with the Western Wall of the Temple Mount. Nine years later, Pope Benedict visited in May, 2009, being the first non Italian Pope to travel to the Holy Land. Now just four years later, it has been announced that Argentine born Pope Francis will visit Israel next March.